An article in the Chicago Tribune that announces Chase bank’s increase in the amount of grants it is offering in Chicago goes on to detail myriad existing grant, loan, and donation programs from public and private sources for neighborhoods that have few jobs, few resources, no privilege, and lots of quality of life problems. But not all of the programs. There are more, but I don’t even know how many more, nor do I know all of their names. I just know that I’ve read about them before. The article is where I learned that Benefit Chicago – a $100 million investment fund operated by the Chicago Community Trust, MacArthur Foundation, and Calvert Foundation, but hasn’t finished raising all the money – has started giving out loans and grants to Chicago recipients, including Garfield Produce Company. Calvert Foundation has a brokerage (I think that’s the best name for it) through which regular Chicagoans can invest $20 minimum and earn 1.0% interest on that investment after 1 year. Longer periods net higher returns. If I were a business owner in Chicago, and I wanted financial assistance to expand my business – say, buy more kitchen equipment to be able to produce more food – where would I start looking? Is there a list somewhere? Will my alder know? Is there a group in my neighborhood that can help me track down a funder? Is this more complicated than getting a VC to fund a “Bodega killer“? 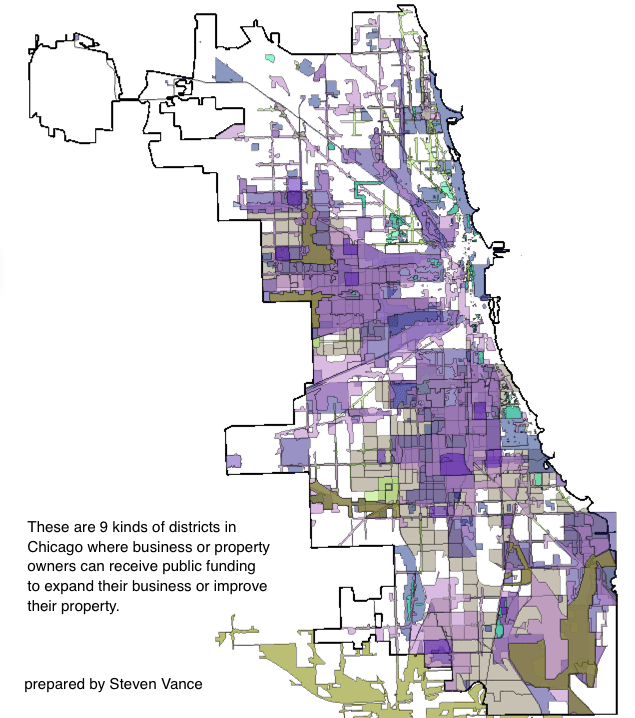 One of the things I’ve tried to do with the tens of thousands of maps on Chicago Cityscape is highlight when a business or property owner could be eligible for financial assistance based purely on their geography. Map of areas where you, as a business or property owner, can get funding assistance from publicly-funded programs. Not every area within the above categories is in a disinvested neighborhood because not every program was designed for that. Once you know this, I guess you can target your research. But there’s still a lot more to do. To start: Where the heck is Chase investing? Where the heck is Benefit Chicago investing? They don’t publish maps, as far as I can tell. Actually, thinking about this more, as I reach nearly 400 words in this blog post, I’ve got another idea: Show up at Rahm’s new Small Business Center at City Hall and ask them. The vacant lots on the 2300 block of W Erie Street are owned by the City of Chicago. 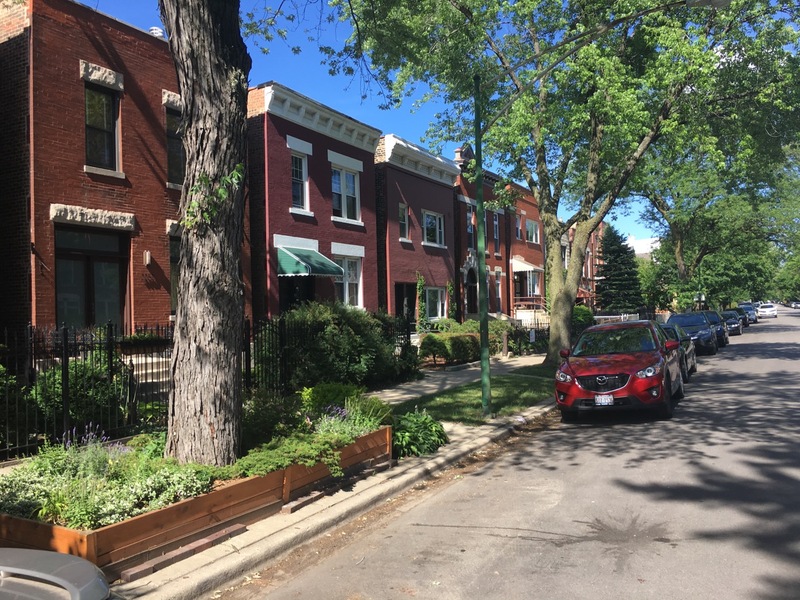 At many public meetings about development proposals, people oppose new housing on their block because it “doesn’t fit in with the character of the neighborhood”. This is often a code or mask that the person is trying to prevent anything from changing on their block (a.k.a. NIMBY), and sometimes trying to prevent a certain kind of person (poor, Black, disabled, veteran, you name it) from living near them. Chicago is selling six vacant lots (marked as one parcel & PIN) to a developer for $6 who will buy six single-family houses that will cost about $247,000. Only a person or family who earns up to 120 percent of the area median income could apply to purchase the house; they have to live in it for 15 years. The other dominant building type on the block are these one-story single-family houses. I personally think that two-flats should be built here, because land is expensive and scarce, and there should be more affordable housing everywhere in Chicago. 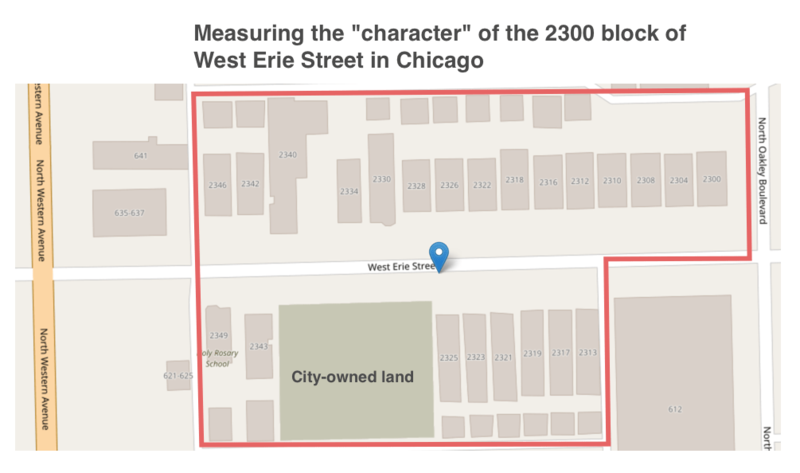 Are there objective ways to measure the character of a block or neighborhood? Sometimes when people say character they mean that the proposed buildings are too tall, relative to existing buildings. Other times they mean that theirs is a single-family neighborhood and thus anything with more than one unit per lot is “out of character”. One of the common building types on the block are these masonry single-family houses. I can measure that. I’ve started developing a query against the Cook County property tax database that Chicago Cityscape has which will count the different property types on any given block. The dominant building type is a single-family house smaller than 1,800 square feet. The proposed houses will have 2,500 square feet and two stories, which is similar to the characteristics of the second most present building type on the 2300 block of W Erie St. Which block do you want me to test? This was originally published on Chicago Cityscape’s Medium. 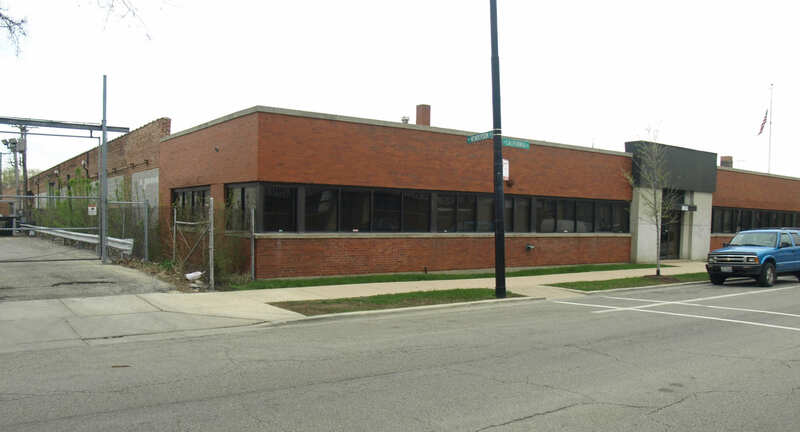 The city-owned fire station at 1721 W Greenleaf Avenue in Rogers Park is set to be sold to Jim Andrews and Dean Vance (no relation). Chicago Cityscape visited the building at an open house in February. 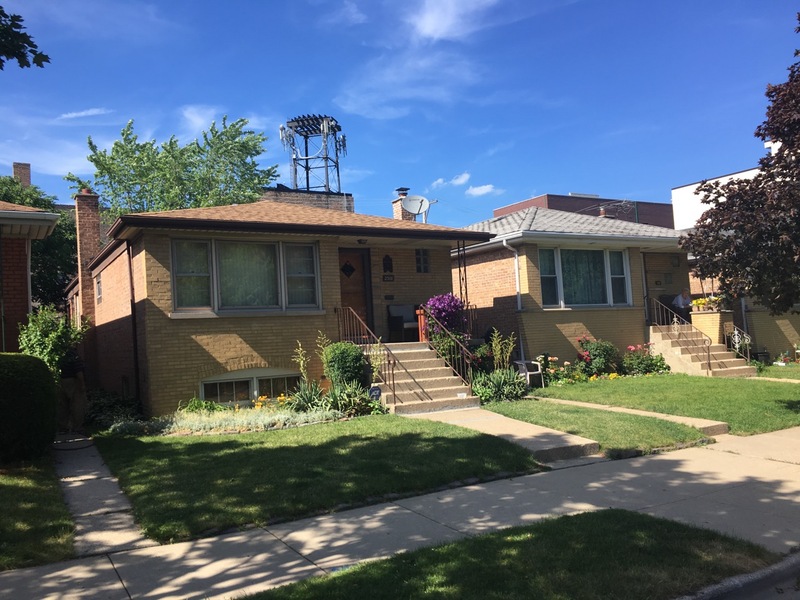 This was the third attempt to sell the property, and the Chicago Plan Commission will review the sale at its June 15th meeting. Photos of the fire house taken during the February 2017 open house by Justin Haugens. The two created a website dedicated to their proposal, and published a video introducing Scott Whelan, a developer who will be helping renovate the building. Whelan’s company, Red Line Property Group, pulls building permits mostly in the Edgewater and Lincoln Square community areas. The image on the top-left shows the original bay doors. 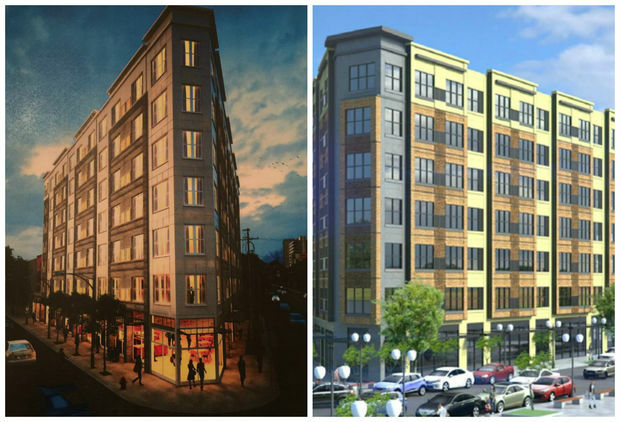 Renderings from the buyers’ website. Andrews and Vance will locate their existing businesses to the building, restore the façade and historic features, add a garden and greenhouse to the rooftop, and provide on-site parking for up to 10 cars. Sustainable design features include photovoltaic solar panels on the roof, passive solar hot water, and geothermal heating and cooling. Dividing a small part of a business district, centered on one street, into three fiefdoms cannot be an efficient way to govern a neighborhood, aggregate resources, or provide services. This graphic illustrates how many elected “stakeholders” – each with their own ideas – a city transportation department and its contracted engineers have to deal with to repave a street and rebuild the sidewalks. The constituents are the same, however. They are all small business owners, and if you want to get together and advocate for change, you’ll have to make three different appointments. Say the first elected official supports your small group’s proposal. Are they going to talk to the next door elected official and collaborate? Naw. Not in Chicago. This is the city where a bike lane will be repaired on a street, but only up to the point where the fiefdom boundary ends, because the next official didn’t want to pay for the maintenance on their side. I can see one situation where having three boundaries is good: Say one of the official is really good, responsive to needs, pushes for street upgrades, spends their discretionary funds in ways that you like, and attracts more businesses to locate there. The next door official, however, isn’t as responsive or “good”, but they want those businesses to locate on their side of the street. They’ll become better, in essence, competing. I don’t think this happens in Chicago, because you’ll tend to have officials who are about the same. The depicted project was proposed a little over four years ago, and is now complete, it appears. I’d like to point out my story on the Chicago Cityscape blog highlighting the fact that ~1,800 city-owned lots that are being sold to $1 to nearby property owners that haven’t been applied for. The City of Chicago is selling 3,844 vacant lots for $1 in these 34 community areas, but the city has received only 2,031 applications. 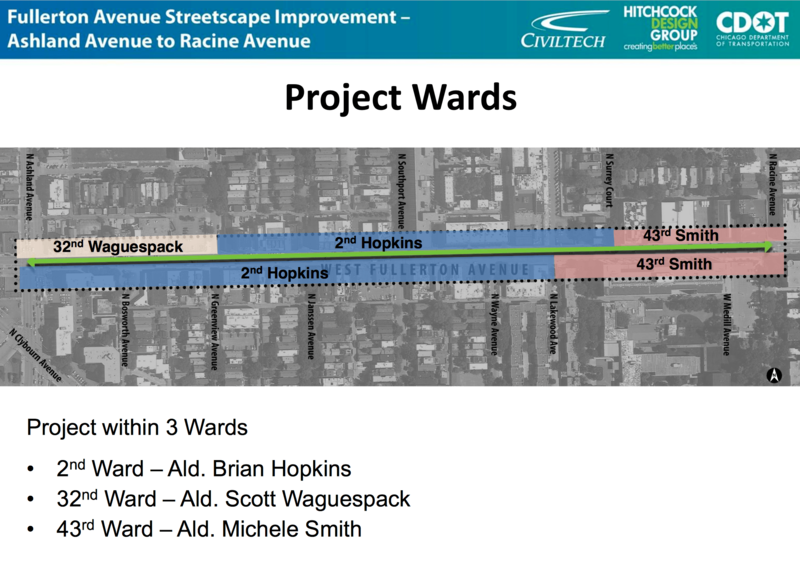 I posted a modified version of this post to Streetsblog Chicago. A group in Chicago says “current infrastructure” cannot handle ~120 more people moving into Logan Square. Ring the NIMBY warning bell! Logan Square is more equipped to handle ten times that number of new residents than most neighborhoods. 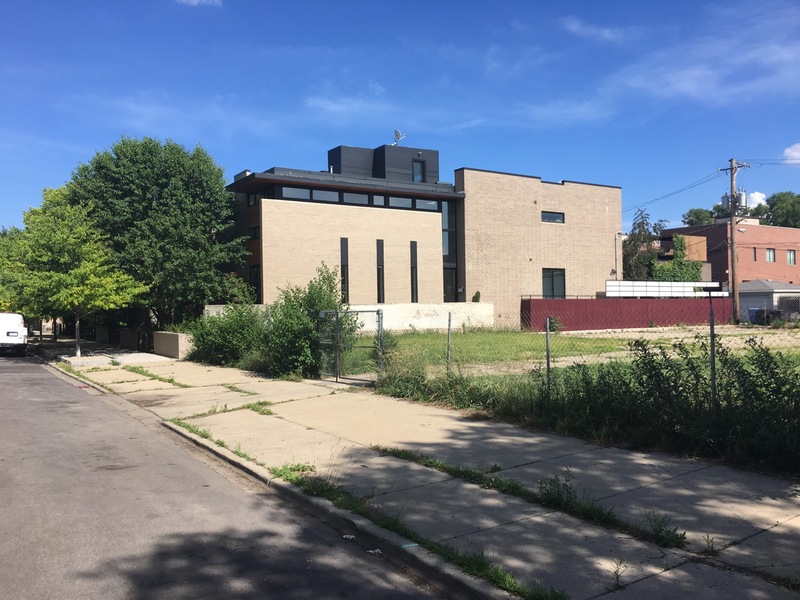 The Greater Goethe Neighborhood Association’s (boundary map) Zoning and Planning Committee’s submitted their opinion on a proposed building on the corner of Milwaukee Avenue and Campbell Avenue to 1st Ward Alder Proco Joe Moreno. They wrote, “Current infrastructure cannot sustain the increase in density and ZAPC would like to know how is this is being addressed by the City”. What’s wrong with current infrastructure that it can’t handle 120 new residents? The GGNA doesn’t say. The context of this demand is a bit unfortunate, as far as good city planning goes. The city is in no way required to respond with how the city is addressing how current infrastructure can or cannot handle 120 new residents. And neither is Alder Moreno. Neither the city nor the developer* are required to do anything to change infrastructure in the area. Logan Square’s population is much, much less than its peak. These 120 new residents are in some ways making up for the loss in units in the neighborhood due to deconversions. And their supply will help stem any rapid rise in rent increases. Measure the impact of new housing on current infrastructure (housing availability and pricing, sewer, transportation, roads, and parks). Measure the impact of converted or demolished housing on current infrastructure. Measure the potential impacts of not building the proposed building. This stretch of Milwaukee Avenue had a plan adopted for it in 2008. It would be nice to try and stick to a plan’s recommendations, for once. As far as neighborhood plans go, it is pretty good. Wanna know what the plan said? Build more housing. Higher density housing is often attractive for young couples, as well as new families, singles, and empty-nesters looking to downsize their housing units and spend less time on home maintenance and repair. These residents are drawn to urban living because of the goods and services that are available in pedestrian-oriented environments. Taller buildings would continue the streetwall found along other sections of the Corridor. This would accommodate higher density housing to maximize the number of residents in the area who could conveniently take advantage of the existing transportation and the existing stores, restaurants and services located along the Corridor. These housing types will help build the immediate population density necessary to create a vibrant and growing Study Area. How would you feel if someone got to influence the approval process for the place you live now? How would you feel if someone was saying you should live elsewhere? How come people who live in a part of a city get to decide who else can live near them? Why do people say they don’t want to live around a bunch of other people? * It’s actually a group of developers. Alder Ameya Pawar emailed this story to subscribers of his 47th Ward newsletter. I am posting it here because there was no other way to view this online. I received it on Thursday, November 10, 2016, at 15:19. I am the son of Indian immigrants and my dad was just five years old during the British partition of India and Pakistan. The trauma associated with splitting one nation into two by religion is still felt by Indians and Pakistanis today. The impacts to his family were very real. It wasn’t until he came to the United States in 1972 that he experienced a life without food rations. My wife, Charna, is Jewish and her family is made up of recent immigrants and refugees and survivors of the Holocaust. Charna often talks about how Jews have spent millennia running from one place to the next in search of a stable home. And she often talks about how our families, and millions of immigrants and refugees come to the United States because our country is the freest place in the world. Her family’s experience led her to a career in human rights where she worked with and taught unaccompanied undocumented minors at the International Children’s Center, led the Heartland Alliance’s Refugee and Immigrant Community Services department resettling refugees from Sudan, Iraq, and beyond, and was one of the leaders in Chicago’s efforts to resettle over 10k Hurricane Katrina evacuees, America’s refugees. She did so out of a sense of service to our country, a country that allowed entry to her family and millions of others; and she did so to help make the world a better place. So when the Presidential campaign devolved into denigrating and casting refugees and immigrants as weak, drains on our government, and people to be feared, we were offended and horrified. Charna often says that refugees and evacuees are the most resilient people on the planet. They walk continents, survive warehousing, flee their homelands to escape violence, or leave their homes after a massive natural disaster in search of safety and the dream of a better life for themselves and their families. And that search for safety, security, and a better life is the definition of the American experience. So as the campaign rhetoric escalated over the last year, Charna and I had a conversation about some of the anti-immigrant, racist, homophobic, anti-Semitic, and misogynistic rhetoric coming from the President-elect’s campaign. What would we do if he won? What would we do if he was serious about a religious litmus test? What we do if he began rounding up undocumented immigrants, immigrants, and refugees? What would this mean for our family and our friends and neighbors from diverse backgrounds? Based on our collective experience and from history, we know how ugly rhetoric can spin from just that into policies and actions. So we asked ourselves, where would we go if we unimaginably had to leave? And the irony of the last question? My wife said “Germany”, the country that part of her family fled to escape the Holocaust, the country that today takes in hundreds of thousands of refugees from around the world, is one country that we could consider due to WWII reparations for the descendants of families that were forced to flee. And that was saddest conversation of our life. I say all of this because we know what if feels like to be seen as ‘the other.’ And I know most of the 48 million people who voted for the President-elect do not believe, subscribe to, or hold values which align with the rhetoric of his campaign. My guess is that for many people who voted for the President-elect, they too felt like ‘the other.’ Economic policies, widening income inequality, and a lack of investment in communities manifested itself in the results on Tuesday night. We must deal with these issues and hear people before suffering forces more people into the arms of a demagogue. That’s really all I have to say on this because there is so much I don’t understand about Tuesday. All said, I will continue to push back on the idea that wealth equals competence in government. I will continue to push back against leaders who seek to create ‘the others’, whether they are immigrants, refugees, people with disabilities, people of color, women, LGBTQ, or members of unions. My commitment to social justice will never change. I do feel that the level of our discourse has been cheapened by social media and other platforms where people and politicians seek immediate responses and appeal to and act on one another’s most base instincts. So my office is going to take a break from the echo chamber that is social media and find better ways to engage and promote rational public discourse. In the coming days and months, we should all start a new level of discourse by engaging and helping organizations that do the hard work of protecting American values and serving our neighbors in need. I hope you’ll join us and get involved with organizations like Planned Parenthood, La Casa Norte, the Sierra Club, Heartland Alliance, Apna Ghar, Thresholds, the Center on Halsted, and the Southern Poverty Law Center. Consider volunteering your time or making a financial contribution to an organization of your choice. Let’s all do our part. In closing, I don’t have a prescriptive idea today – writing this letter to you is cathartic for me and an expression of many conversations I’ve had with some of you over the last 48 hours. I’ll simply end this week’s letter by going back to my dad’s story. My dad is 5 foot 2. I am 6 feet tall. And there is a reason for why there is a major height difference between the two of us. In India, my dad battled typhoid as a young boy and lived off food rations; I grew up here with plenty of food to eat and without any health or public health concerns. In just one generation, and because of American immigration policies, my parents were able to see their son elected as the first Asian American alderman in Chicago’s history and watch their daughter graduate with a doctorate from Northwestern University. America is a great country. Americans are a good people. And nowhere else in the world is my family’s story possible. But today, it is the hope and dream realized by my parents and my wife’s family that we cling to for support and hope. We have to chart a course forward and we will. Big Marsh Bike Park opening day from Steven Vance on Vimeo. This morning Emanuel cut the ribbon on the Big Marsh Bike Park, first announced in July 2014. It’s still known as Park 564, until the Chicago Park District board adopts a new name. It’s located at 11599 S. Stony Island Ave. in the South Deering community area in an area already known as Big Marsh. I mapped the park into OpenStreetMap based on a map from the architect, Hitchcock Design Group*. 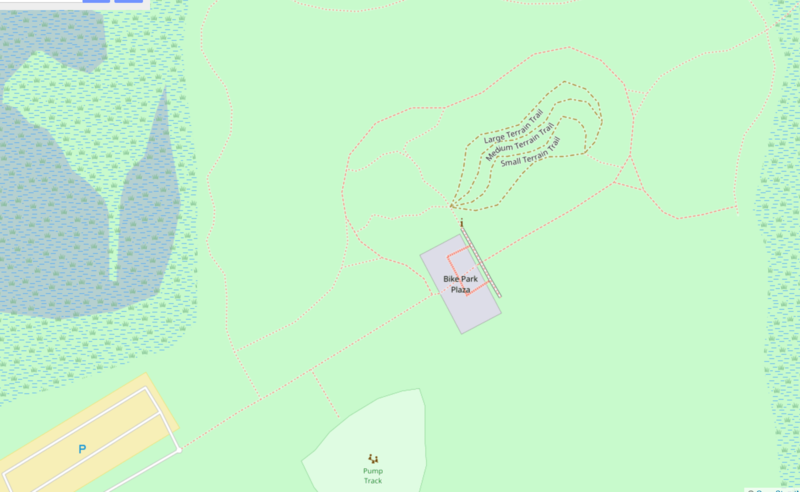 I’ve traced an architect’s map of the park into OpenStreetMap. The single-track trails, terrain park, and pump track, are free and open to the public every day from dawn until dusk. It resembles the Valmont Bike Park in Boulder Colorado, which I visited in 2014. 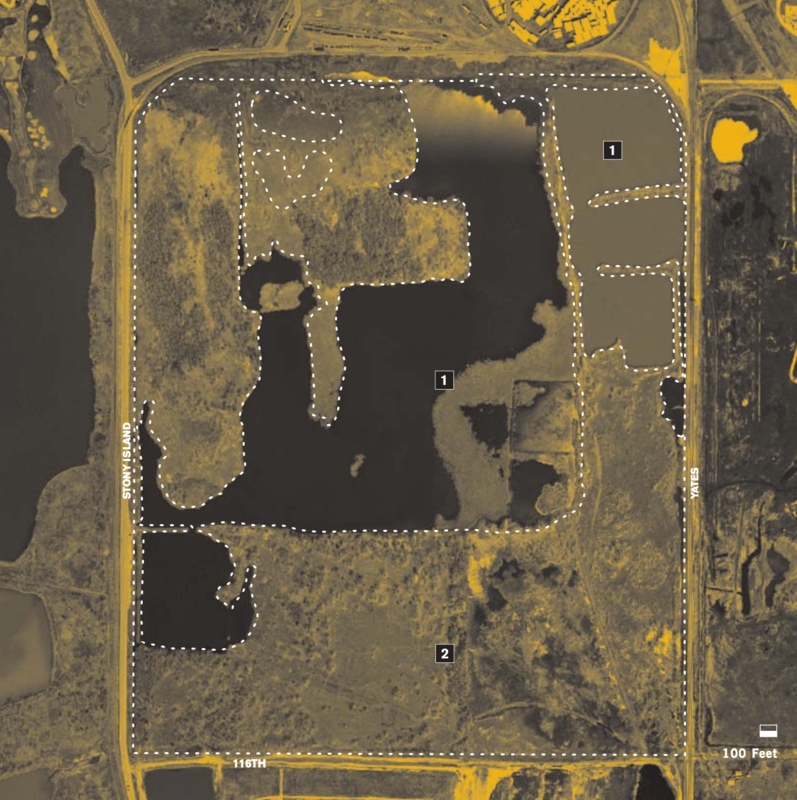 A map of the Big Marsh wetland in 2005 in the City of Chicago’s Habitat Directory. The bike park is mainly in the cleared space east of the #2 on the map. The area is also part of the the State of Illinois’s Millennium Reserve program, a group of projects to restore natural areas, create new economic development opportunities in the area, and build more recreational sites. There is no bike infrastructure to access the site, and many roads leading to the site are in bad condition, or have high-speed car traffic. There is a large car parking lot at the site. * If you would like to help me map the bike park into OpenStreetMap, you can load the architect’s map of the site into JOSM using this WMS tile layer. Two light industrial building were purchased and demolished in order to build more car parking for WMS Gaming in the Avondale community area. Congratulations on the success of WMS Gaming that they are hiring more people, but this kind of development is transit “dis-oriented”. Nearly an entire block face of California from Melrose to Roscoe will have a surface parking lot. Across the street to the west, and across the street to the south is entirely residential. The Plan Commission had to approve the demolition of these buildings and the additional parking lots because they were not allowed in Industrial Planned Development 1151. The change was neither an economically productive use of the land, nor is it “compatible with the character” of half of the surrounding area. This might be economically productive for WMS Gaming, so more of its workers can drive. But there are more ways to get around than driving. WMS Gaming is near the 52-California bus route. It’s also two blocks from the 77-Belmont bus route and 152-Addison bus route. WMS Gaming can operate a shuttle to CTA or Metra stations. Updated Oct. 10 with more examples of why this could be a problem. Updated Oct. 13 to include CMAP’s review of the amendment. I also posted an alternative version on my new Medium account. Illinois voters are being asked in the current election – early voting has started – to support or opposed a constitutional amendment that would restrict spending of certain revenue sources. The amendment to the Illinois constitution says that revenues derived from transportation sources – gas and related taxes, license and registration fees, sales taxes for transit, airport fees – can only be used to fund transportation initiatives. (see full text below). The problem this amendment intends to solve is that sometimes Illinois legislators spend transportation funds on non-transportation projects, people, and services, depending on their priorities at the time – even when existing laws says they can’t. A “yes” vote means you want the Illinois Constitution to have this amendment. A ChiHackNight member asked the #transportation channel in our Slack about this amendment. Just got my copy of Proposed Amendment to the Illinois Constitution and bicycle and pedestrian paths are perhaps intentionally not listed as possible places to spend transportation tax revenue. Thoughts? Very little (oh, so little) money is spent on bike and pedestrian things. Despite what you’ve read, there’s no way to guarantee that the recovered money – the small portion that’s being diverted – would be used to enlarge the pot spent on bike, pedestrian, or transit projects. Many of the money categories in the amendment are already protected by either state or federal law. For example, the Passenger Facility Charge that each airline traveler pays to each airport on their itinerary can only be used on certain capital improvement and maintenance projects at that airport. The PFC differs by airport. And just so we’re clear, there is no such thing as a “road tax” or “driving tax” in any part of Illinois. There is no fee for anyone to use the roads. What gas taxes are supposed to be spent on, first, and then allowed to be spent on, second, are defined in 35 ILCS 505/8 (from Ch. 120, par. 424). Bike lanes and sidewalks are rarely called out separately because they are part of streets and roads, which are funded, and I don’t think it’s significant that the constitutional amendment doesn’t list “bicycles” and “pedestrians”. It’s up to IDOT and other agencies that have jurisdiction over a road to choose to include those things as part of larger road changes. This constitutional amendment won’t change any policies, which are already mildly supportive of bike and pedestrian infrastructure. I oppose this on the grounds that it restricts setting state priorities while it doesn’t actually prioritize anything within transportation. Sometimes there are things that are more important than what the state buys with transportation money. I have a huge problem with those things it buys, though. The priorities that Illinois legislators have for spending transportation moneys isn’t going to improve. The state built the MidAmerica-St. Louis airport in Mascoutah for $313 million to serve as a “secondary” airport to the St. Louis airport. It opened in 2000. There are only flights to tourist destinations in Florida; the St. Louis airport never had a capacity problem. The Illinois Department of Transportation wants to extend the St. Louis light rail through rural areas for 5.3 miles, but is still obtaining funding. However, they are spending about $300,000 annually on something for this project. A screenshot of the Illinois FY17 enacted appropriations showing spending $330,010 annually for a project to extend a light rail station to an underused airport that cost the public $313 million. That is exactly the kind of thing that has to stop and this amendment doesn’t do it. That money can still be spent on bad projects. There’s no shortage of bad projects, but there’s also no shortage of good projects that don’t get funded. States are already spending most of their money on new roads instead of maintaining existing ones. Since projects are often selected and prioritized to serve political needs, and politicians oversee specific geographies, good projects will still linger in some geographies while bad projects are implemented in others. In other words, the $300,000 on spending for the light rail extension to the underused airport can’t go to build pedestrian overpasses along well-used multi-purpose trails in DuPage County. It’s going to stay in that downstate legislator’s district because “economic development”. Staff at the Chicago Metropolitan Agency for Planning, Chicagoland’s designated regional planning organization, issued a memo to the board a few days before I wrote this describing that the amendment is “unclear” on so many topics. They cite their discussions with unnamed amendment proponents who explain how the lack of clarity won’t be a problem because the General Assembly can pass laws clarifying that bike lanes won’t need a dedicated user fee if the amendment passes and that it doesn’t impinge on the rights of home rule cities to use gas taxes as they need to. With the amendment, the state will have to dream up some other transportation project in that district – I see a highway widening in their future. Without the amendment, the state could use that money for an important project in that area, but even that isn’t supposed to happen because the state already has laws dictating how project-specific bond funds can be spent. This is also the problem with the Illiana Tollway that Governor Quinn so much wanted to build to gain favor with Southland legislators. Whatever the case is, adhering more to performance (merit) measures on transportation spending – rather than political and district appeasement – is the most important change we can make. Finally, I question the amendment text. It’s hardly possible or easy for us non-legislators to know if the text covers everything that transportation funds are currently allowed to be spent on. What if there’s some project that turns out not to be an eligible recipient for these funds? Do we wait for the next election when we can get another constitutional amendment on the ballot, or hope that the Illinois Supreme Court will interpret the amendment to favor that project? In fact, we already have a lot of laws that say how transportation-derived moneys are to be spent. The amendment, then, is a solution to the problem of trusting our state legislators. The Civic Federation says that money is transferred from the various transportation funds to close budget gaps. “Limiting access to transportation-related revenues such as motor fuel taxes and motorist user fees could put additional strain on the State’s general operating resources” and “similarly affect local governments”. They also said that year-to-year figures of transfers and diversions have been calculated differently. Additionally, DOT workers’ pensions may be paid for by transportation funds. Does this amendment cover that provision? If not, where else in the state’s budget would their pensions be funded? Some of the work done by staff at other state departments is funded by some transportation user fees. Would the lockbox cut off their funding supply? A little of the work each department can be considered transportation related, but will the road lobby proponents of this amendment see it that way? I dislike the inflexibility the amendment creates. Constitutions are meant to protect our rights. I don’t think that there’s a right that gas taxes must be used to pay for roads, while a sliver goes to build new CTA stations. My writing partner at Streetsblog Chicago, John Greenfield, wrote an article that interviewed leaders at three transportation advocacy groups who were all in favor of the proposed amendment. The Tribune editorial he responded to is against it because it seems like a scam that the road lobby is promoting. I am not in favor of the amendment.